Spring is here and yard work is at hand. Time to clean up the yard, and prune the shrubs and flower bushes up. Haus & Garten Pruning Shears are a good tool for the job. 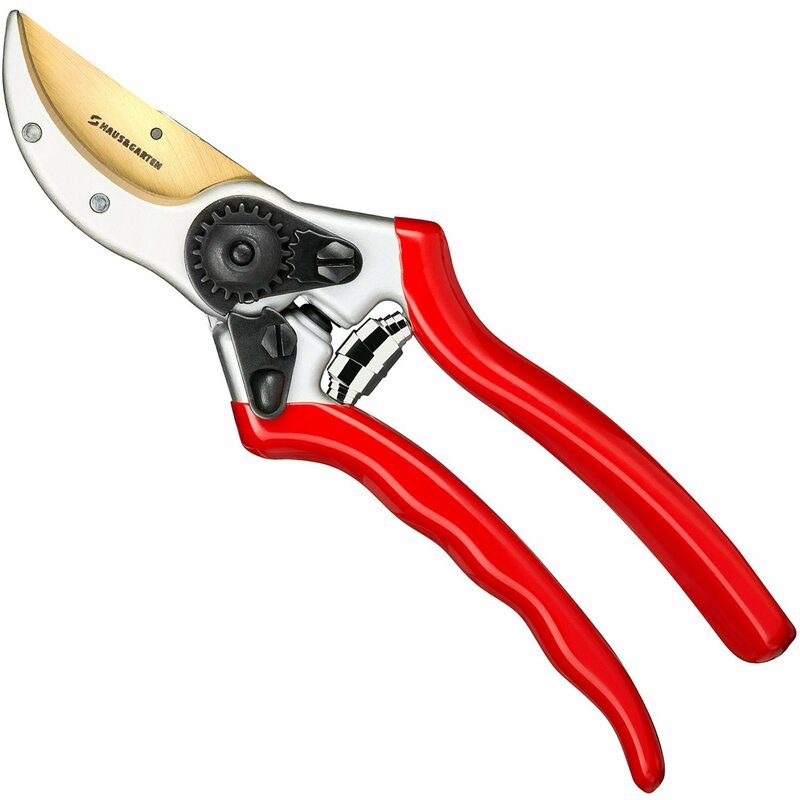 These are heavy duty Titanium shears , very durable sharp blades. Made from high quality Japanese Stainless steel with a titanium coating for easier cutting and less friction during the cut. Designed for medium to large hands, the handles are ergonomically designed for less hand and wrist fatigue. The red coated anti-slip coating ensure a good grip. They are light weight and perfect for people with carpal tunnel or arthritis sufferers. The blades have a sap channel so that when you're cutting the sap is channeled away and makes the blades less likely to stick. There is a wire cutting notch incorporated into the clippers to make it quicker and easier when planting, clearing , etc. These cutters will cut through 1/2, 3/4, and 1 inch branches depending on the species. 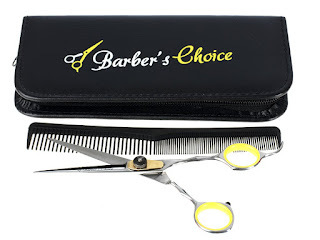 As long as I'm telling you about cutting instruments, let me also tell you about Barber's Choice Professional Hair Cutting Scissors. I'm not a professional but I do cut the kids and grandkids hair a lot at home. These scissors are super sharp, made of 420 Japanese Stainless Steel. There is an ergonomic grip to reduce hand , wrist, and elbow strain. They come with a high quality black comb and a zippered black case. These are perfect for a barber shop, salon, or even home use. It's so nice to have a sharp pair of scissors that make such a nice clean cut.